The bananito, also called banano bocadillo or baby banana, differs from the banana in addition to presenting a sweeter flavor, because it is smaller in size and weight; It oscillates between 8 and 14 cms. in length and 20 to 50 grams. Its skin is thin, smooth and yellow, its flesh is soft and delicious, and has a touch of delicious vanilla flavor. Low in calories and with high levels of carbohydrates. It helps provide essential vitamins such as vitamin C. It also contains large amounts of potassium, has iron content. Bananas contain three natural sugars: sucrose, fructose and glucose, which combined with natural fruit fiber gives us an immediate abundance of energy. 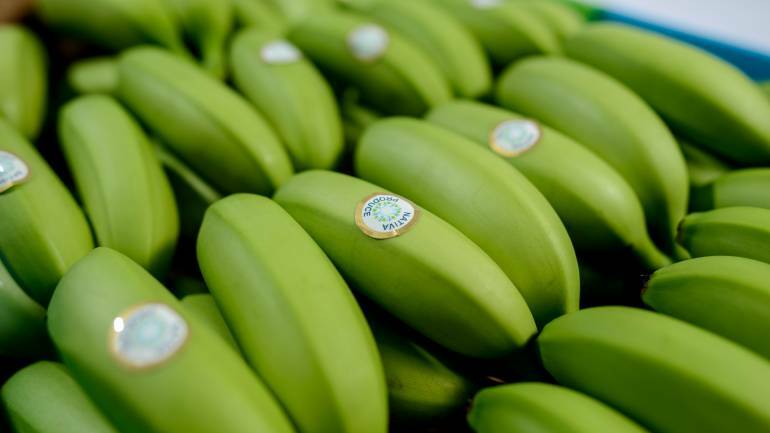 The bananito is used as part of the diet to combat intestinal disorders due to its soft and smooth texture. It is the only raw fruit that can be ingested without anguish in chronic cases. It also neutralizes excess acid and reduces irritation by covering the lining of the stomach. Potassium is a vital mineral that helps normalize the heartbeat, sends oxygen to the brain and regulates body water balance.